If you are thinking of going Solar, an important item you will need to consider is what of the type of “inverter” you plan to install. Inverters are the most important part of any solar powered system. ♦Think of it this way…. if solar panels are the body, then the inverters are the brains. The inverter converts the variable direct current (DC) output from the photovoltaic (PV) solar panels to the alternating current (AC) which feeds your home with electricity for any lighting and appliance daily use. Any excess of the utility frequency alternating current (AC) can also be sent/fed to a commercial electrical grid and/or sent to your systems provider local off-grid electrical network. Home owners who are looking to install solar panels on their homes will usually invite and attract competing solar bids from different companies - some of which will try to sell string inverters and others will try to sell micro inverters as part of the solar system. • A high quality inverter is important, because the quality increases the reliability and efficiency of your solar power system. Currently there are two types of inverters one can choose from and they are: (1) String Inverter and a (2) Micro Inverter. Next is the question - What is a String inverter and what is a Micro inverter? (1) A “standard” inverter (also known as a String inverter or central inverter) is a standalone box that is usually installed outside close to your fuse box and electrical meter. There is typically only one string inverter to each residential solar panel system installation. • A string inverter functions in a “Series” circuit in which there usually is 6 to15 individual solar panels (known as the solar array) with all electrical wiring connected end-to-end in a line to form a single path for electrons to flow, thus feeding all the energy created to a single "string"/central inverter. 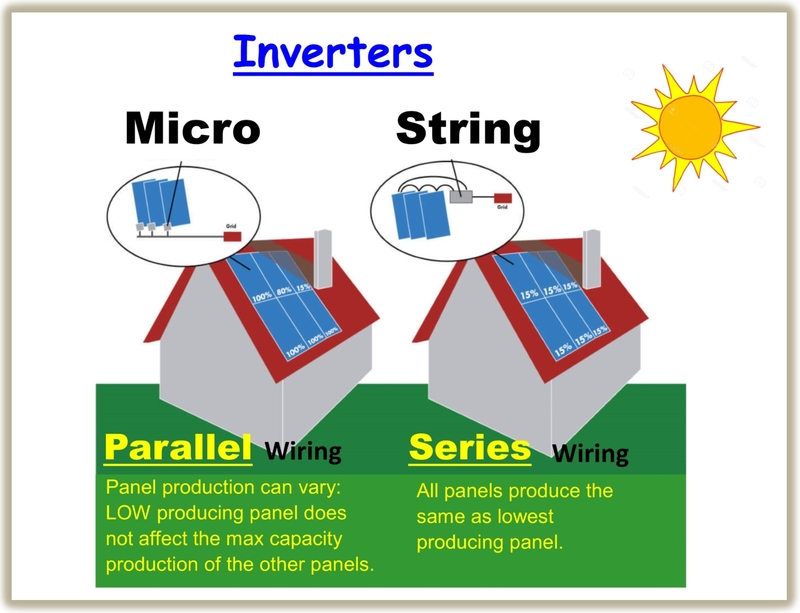 • A standard string-inverter will cap the electricity production of each panel equal to the lowest producing panel on your roof (ie: if one panel gets a lot of shade, then each and the rest of the panels connected to the string inverter cannot produce more than the production of that one shaded panel – thus in this case the system renders itself as a low producing system). If your systems solar panels are all facing one direction and you have minimal shading issues, then it is said that your best option is a standard string inverter. (2) Micro inverters perform the same basic function but are installed underneath and attached to each solar panel. Each of these micro inverters is about the size of an internet router. The big difference is that a solar panel installation with micro inverters will have the same number of micro inverters as there are solar panels. • A micro inverter functions in a “Parallel” circuit. The basics of a parallel circuit is that no matter how many panels are connected, there are many paths for harvested electrons to flow. • A micro inverter on the other hand, will take full advantage of the production of each individual panel. It will convert the overall total power generated by each and all panels to the alternating current AC… (ie: a low producing panel will not affect the other panels ability for each to produce at 100% maximum capacity - if possible). • The advantage of a string inverter is that you only need one of them. If anything is going to fail in a solar system it is likely to be the inverter, thus trouble shooting is minimal. • When it comes to the costs, string inverters are currently less expensive than micro inverters. Again, you only need one string inverter per installation, while for micro inverters you would need one inverter for each panel. Because of this, your more economical solution will be using string inverters. • String inverters are the most common and most popular type of solar inverters used in households and commercial use. • If the one string inverter breaks down, the whole solar array/system will be inoperable. This could be a significant loss of electricity production. Not good if this happens in the heat of the summer or during those frigid winter days - thus no Air Conditioner nor Heater functionality. • Expandability… unless you buy an oversized string inverter, expandability in the future is restricted once having been installed for a certain rating. The rating of the inverter cannot be altered. In this case to increase the inverter rating, you would need to buy an additional string inverter. • The main shortcoming of the standard central string inverter is that when solar panels are strung together, the string of panels will be "performance limited" by the worst producer of the individual panels within the array. For example: again if a single panel is shaded, its overall output drops dramatically, which affects the output of the string as a whole even if the other panels are not shaded and are 100% exposed to direct sunlight. • In addition, all inverters use a technique known as maximum power point tracking (MPPT) to optimize photovoltaic PV output. Once again, variations due to a low producing individual panel in a string will cause the inverter to change the MPPT settings, thereby not giving you the systems optimal performance. • The core advantage of using micro inverters is that theoretically you can yield more solar electricity. The reason for this is that there are slight differences in voltages between each solar panel. When solar panels are in a “string”, the voltage is reduced to the voltage of the lowest producing panel in the string. • If a solar system is facing multiple angles, meaning some panels are facing south, some east, and some west, then micro-inverters are the way to go. Or, if you have shading issues from trees or a large chimney, again micro-inverters would be best. In these situations, the solar panels will be producing different amounts of electricity at different times of the day thus micro inverters will ensure you harvest all of the energy and as much as possible. • Each panel has its own inverter, any reduction or even losing the output from a single panel does not disproportionately affect the output of an entire array. • Each micro inverter is able to obtain optimum power by performing maximum power point tracking MPPT for its own panel. • From a maintenance/reliability perspective - the failure of a single panel or inverter in the micro inverter system will have a minimal impact on the overall system performance rather than it being a catastrophic event if the one and only inverter, as in the standard/string inverter, was to fail. • There are other aspects to consider as well. Micro-inverters now typically have 25 year warranties while standard string inverters come with 5 or 10 year warranties. 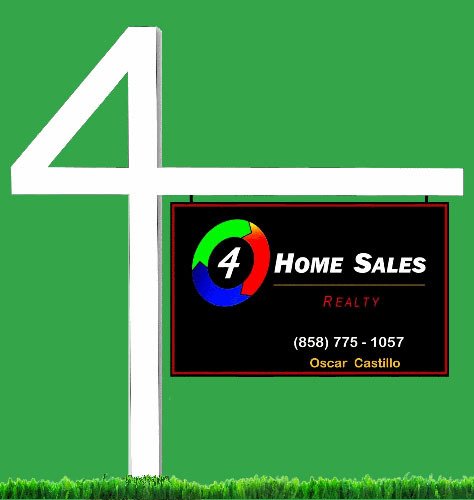 • For additional costs, a homeowner can have the ability to track the production of each individual panel. While with a standard string inverter, you only can track the production of the whole system. • If you were to expand your system in the future, micro-inverters are simple to add-on, this done by adding one at a time. However, with a standard string inverter it would be more costly to add another full size inverter unit. • The main disadvantage of micro inverters is price. Because each panel will have its own inverter, with each having the same functionality of a central string inverter, the costs are known to be marginally greater than on a standard string inverter solar system. • The second disadvantage (to some) is that you have an equal amount of inverters on your roof as you have solar panels. • On the other hand, the economics of micro inverters are rapidly improving, therefore it is forecasted that there will be increases in the level of integration together with decreases in the micro inverter pricing. In regards as to what inverter to utilize, as always that decision is up to the homeowner but my hope is that this information is useful to you and hopefully it will entice you to seek more information about the entire solar system prior to making any decision..... Remember - Knowledge is Power !